Our neighborhoods are a shared resource. What do we need to start sharing them? What if neighborhood land were the source of every community’s wealth, health, and democracy? Ecovillagers Alliance is organizing the world’s first real estate investment co-op dedicated to ecovillage neighborhoods, to be owned and democratically governed as community land co-ops. We are the volunteer teachers, storytellers, and organizers leading a people’s movement to transform neighborhood land. 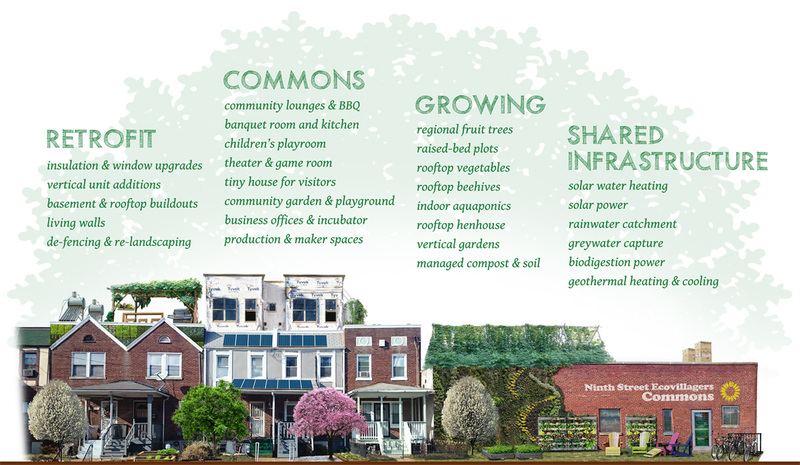 Our co-op will empower its member-owners to cooperatively plan, develop, finance, and steward a mix of residential and commercial property in communities throughout the Mid-Atlantic region. How we buy, rent, develop, and sell property determines how we can share the abundance of our land–and also how we can’t. The current system of real estate and debt pits buyer against seller, owner against renter, neighbor against neighbor, and generation against generation. It builds wealth by exploiting vulnerable communities and ecosystems. Why do we need a whole new system? This short video tells the story. Now what if your neighborhood were an equity-sharing democracy? The video continues with Part Two.